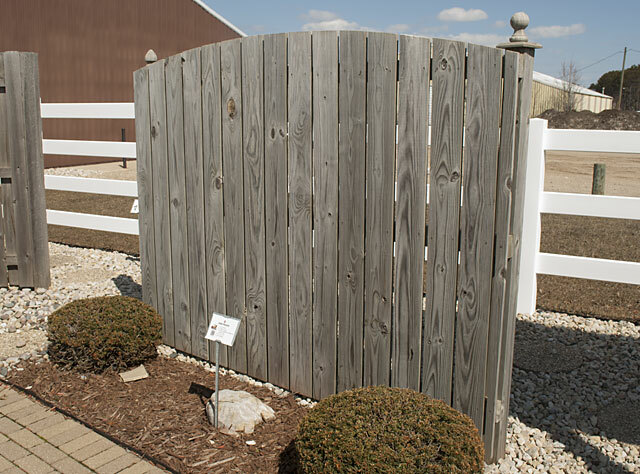 The custom built Semi-Private fence treated lumber comes arched, scalloped or straight topped. The 8 foot sections come in heights of 4, 5 and 6 foot. The 8 foot section shown here is a 6 foot arched top. Heights: 4 ft., 5 ft., 6 ft.